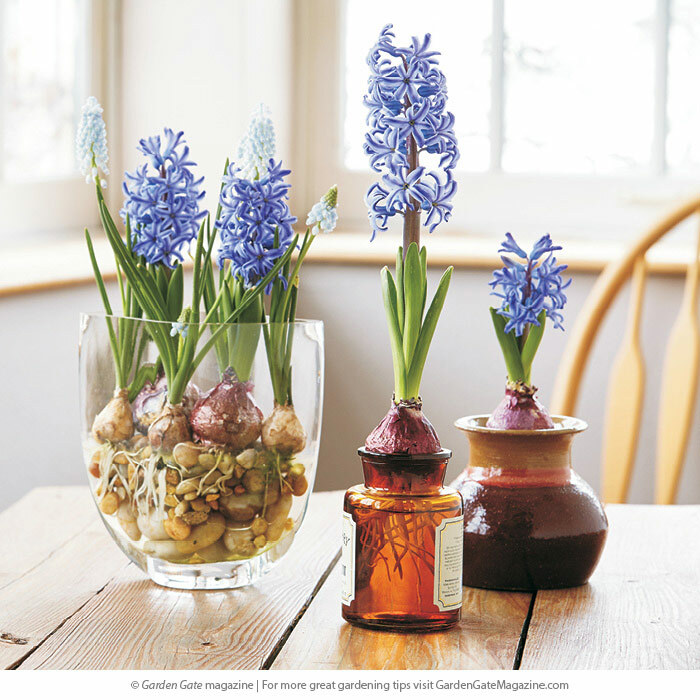 Now’s the time to start forcing spring bulbs so you can have their cheerful blooms indoors. See two easy and attractive ways here! Ready for a little indoor color this winter? It all starts with choosing the right type of bulb. Early-flowering spring types, such as grape hyacinths, daffodils and hyacinths, are easier to force, or make to bloom indoors sooner than they would outdoors. 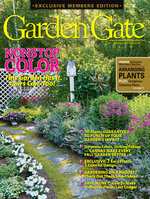 Bulb sellers will often note in their catalogs which cultivars are best for forcing, along with number of weeks from planting to bloom. 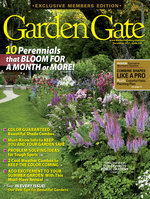 Click ahead to see two easy ways to grow them indoors. One of the easiest ways to force bulbs inside is simply in water. You can use a special bulb-forcing jar, a common floral vase or even set a bulb on a grid of wire or clear tape at the water line of any glass or jar. Fill the vase to just touching the basal plate of the bulb. That bit of moisture will start roots forming. 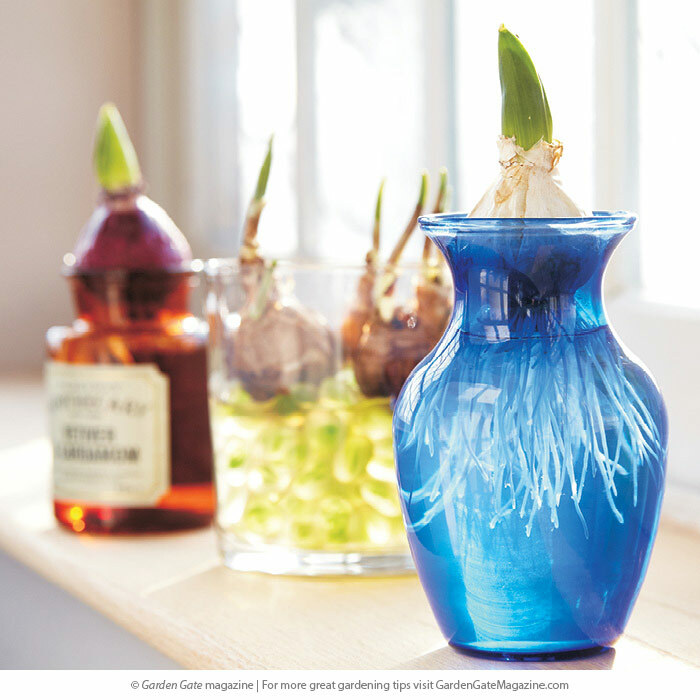 Then once they begin growing into the vase, keep the water line below the bulb to prevent it from rotting or molding. Keep the vase in a cool, dark spot for a few days until roots are forming and there is an inch or two of leaf growth. Move it into a bright spot with temperatures between 60 and 70 degrees F. A little sun in the morning or evening is beneficial, but avoid direct sunlight from a south window, or water in the vase will get too hot and your buds may shrivel and dry up before they bloom. Rotate the vase a quarter turn every day to keep the plant growing straight. Don’t have the right size vase to start a single bulb? 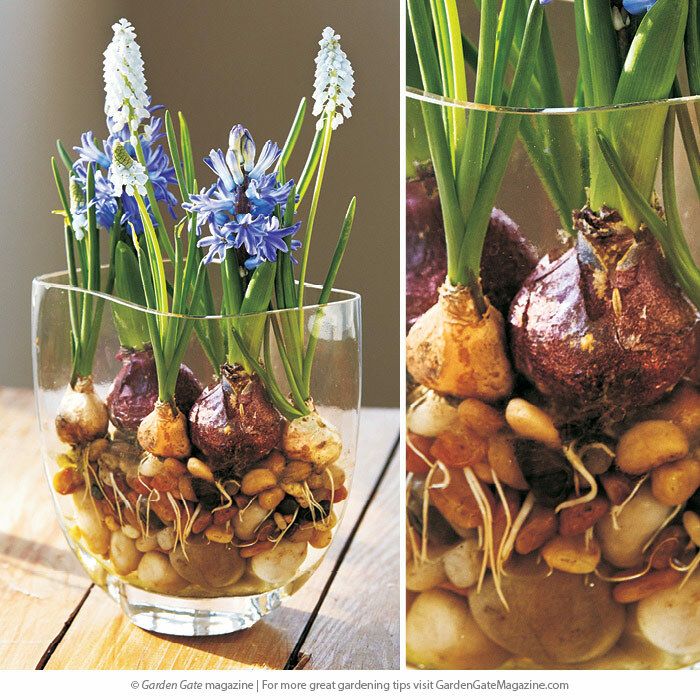 You can still force spring bulbs in water — you just need a base to hold the bulbs in place above the water level. Pea gravel, river rock, crushed brick, glass chips, or marbles all make good “beds” to anchor your bulbs. Combining layers of different sizes or materials make it look interesting before the plants bloom. Set bulbs into the rock with a little push, then add a few stones around each to keep them from tipping. You don’t have to cover them — their roots will work into the base material and hold them steady. Bulbs can be close, but not touching to improve air movement and prevent mold from forming. Plants may heave out of place a bit if they have vigorous root systems; just tuck a couple stones around the bulb to keep them stable. Want to bring in more hummingbirds next year? Plant a few of the native flowers on this list. 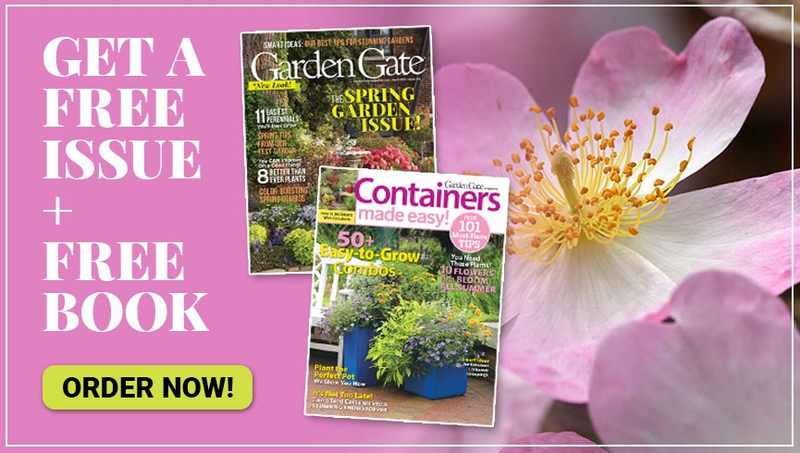 You’ll be ready to take the leap with a new greenhouse when you see the practical and pretty ways one gardener uses hers!